Grandview Estates is located right in Divide near the one and only stop light as you come through Divide. 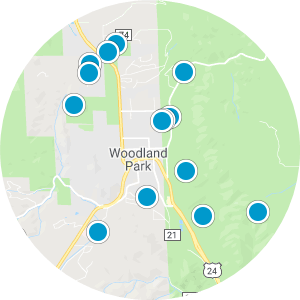 Grandview Estates is only 10 minutes west of Woodland Park with very easy access off Highway 24. Grandview Estates is made up of stick-built homes and manufactured homes. There is no HOA, but there are covenants. Usually I tell people that once you get to Divide, most of the communities are another 10-15 minutes to get to, but not Grandview Estates. 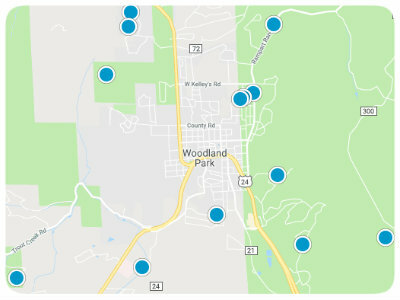 The access is quick and easy to Woodland Park and Colorado Springs. You can have dogs, cats, 4-H calves, and horses. You may store your camp trailer on your property.